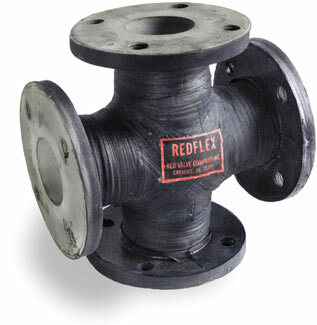 Red Valve manufactures its full line of Redflex® Rubber products in a state-of-the-art facility in North Carolina, USA. Red Valve’s expertise in rubber production, coupled with a dedication to providing their customers with the right solution, has given rise to booming custom-fabrication business. Redflex Products can be built to special lengths, with multiple arches, multiple flanged fittings, offsets, and much more. Red Valve can combine elements of different joint styles, and even incorporate other product elements such as Tideflex Check Valves!